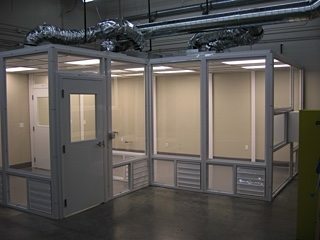 A cleanroom environment can be required in a variety of manufacturing, scientific, and medical environments. For instance, in the aerospace industry, there are certain manufacturers that make very intricate parts for airplanes. These parts may be used in the engine, flight controls, hydraulics, etc. However, since these systems are relied upon to keep a giant piece of metal in the sky, the parts that make up these systems have to be absolutely perfect. Therefore, they use a highly controlled environment to manufacture these parts. Cleanrooms offer a solution to this problem by controlling the size and number of particles that are in this work environment. Similarly, pharmaceutical companies require a highly controlled environment when manufacturing and packaging their medicine. However, this environment might require an even more strict environment due to FDA requirements. So, in order to help determine how “controlled” a cleanroom environment is/needs to be ISO (International Organization for Standardization) has developed cleanroom classifications. Ultimately, it is not too had to conceptualize ISO cleanroom classifications and how they are organized. The gist of it is that the environment will allow X number of particles in a given cubic space of air. 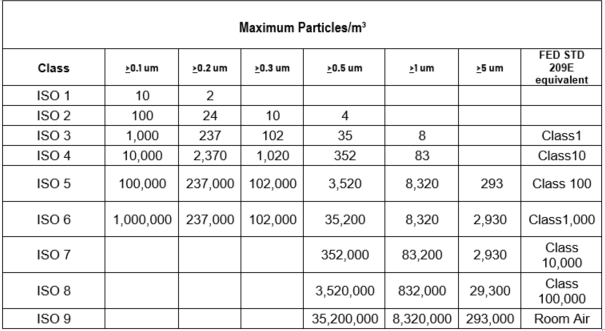 The fewer the particles in that given space, the higher the class of cleanroom. These particles can be a variety of different pollutants such as vapors, microbes, or aerosol particles. The higher the class of the cleanroom, the less risk of contamination. 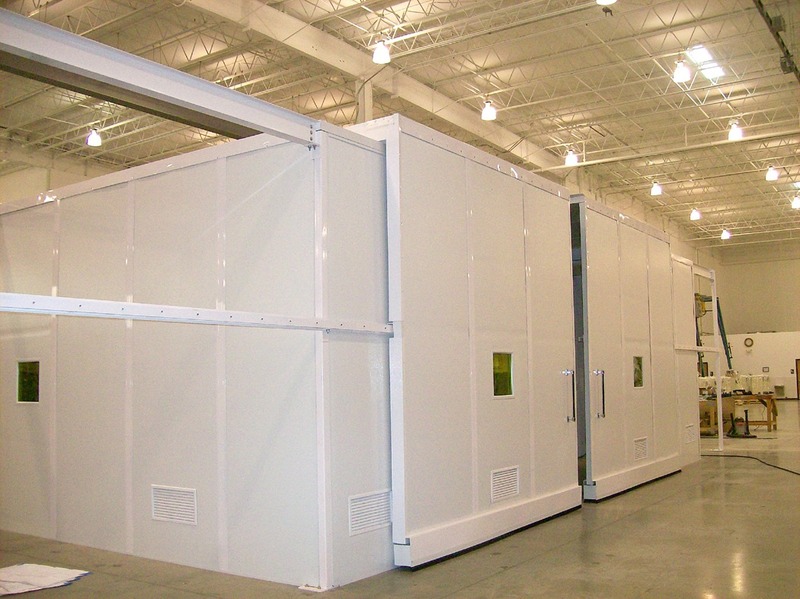 This level of cleanroom offers a lower level of contamination protection but still leaps ahead of standard room air. 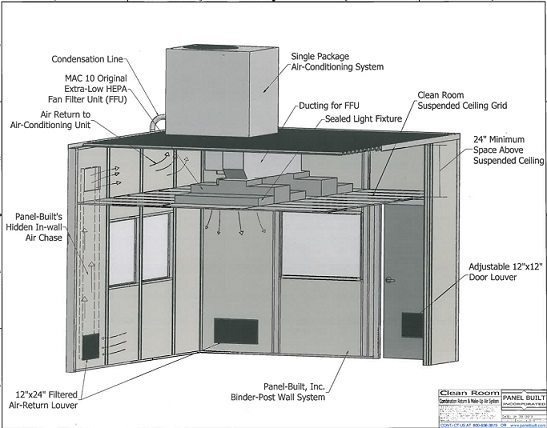 Typically, this type of cleanroom will be utilized in food and drug product packaging or can be used in the manufacturing of certain devices. Because pharmaceutical packagers have to be able to meet certain standards for the way the drugs are contained, a cleanroom environment is oftentimes required. 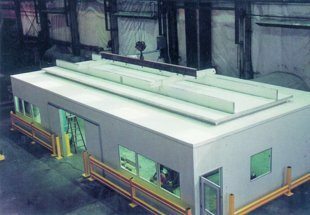 ISO 5 cleanrooms and up are typically utilized in high quality, high precision manufacturing environments. The manufacturing of electronics takes an incredibly clean environment. This type of area would require the workers to completely decontaminate themselves in what is known as a gown room and only then be able to enter the cleanroom area. Also, a strict set of protocols and decontamination routines are put in place in order for the environment to keep its particular ISO classification level.